Are you looking for a one-day mini-vacation? 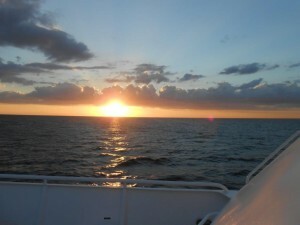 Do you love being on the water? Do you like a day or evening that is full of fun? Look no further! 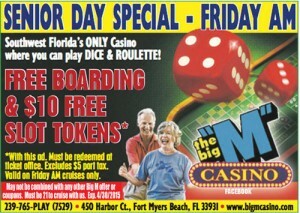 Come and join us on The Big “M” Casino at Fort Myers Beach, Florida. 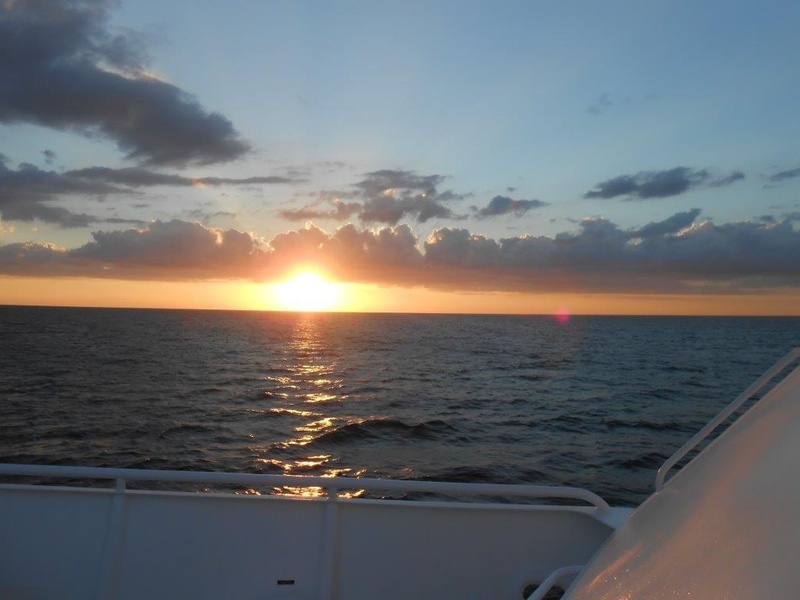 We sail year-round departing from Moss Marine. 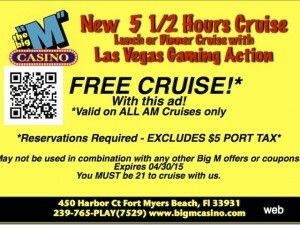 The Big “M” Casino cruise now offers a 5 Hour Lunch or Dinner Cruise with a Vegas-Style gaming action. Make your reservations online or call us at 239-765-PLAY (7529). Are You Ready for a Big “M” Casino Cruise? 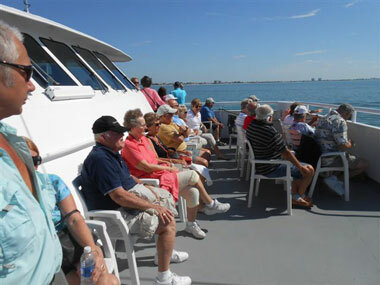 It’s fun to be spontaneous, and that’s what The Big “M” Casino cruise is all about! Are you looking for something fun to do this month? Come and join us on The Big “M” Casino cruise! Don’t miss our exciting specials! Sometimes it hard to break your routine and try something new. Other times we just forget how much fun something is. 2: Do You Know How to Play “Let It Ride”? 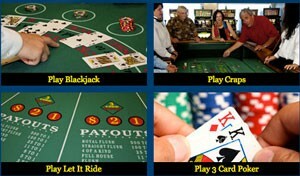 This is the second installment of “How to Play Let It Ride, Cowboy” which can be downloaded for free from bigmcasino.com. Let It Ride is played on a table similar to a Blackjack table. In front of each player, there are three circles on the table marked with a “1”, “2” and “$”. The game is basically a variation of five-card stud, based on three player cards and two community cards. This is the seventh installment of “Lotsa Slots – How To Play Slots“ which can be downloaded for free from bigmcasino.com. There’s certainly no need to fear the Big Bad Wolf in this game! In fact, you will be very happy to see him! Although wolves may have had a bad rap over the years, they have recently gained the respect they deserve. Recently, they have been re-introduced into Yellowstone National Park. With this in mind, a brand new slot game called Wild Wolf was created, and is a tribute to these fascinating animals. This is the sixth installment of “Lotsa Slots – How To Play Slots”which can be downloaded for free from our eBook library. With a delicate stroke, Rembrandt, one of the greatest painters in history, could transform ordinary into extraordinary. He was famous for his ability to capture the human condition like few ever had before. The Rembrandt Riches slot machine was inspired by Rembrandt’s most famous paintings. This game honors Rembrandt’s life and legacy and the richness he brought to all that laid eyes on his work. You can immerse yourself into the opulence and beauty of the Renaissance time period, and see the eloquence of the royalty that is shown on the screen. In this beautiful game, it takes only 20 credits to cover all of the pay-lines. 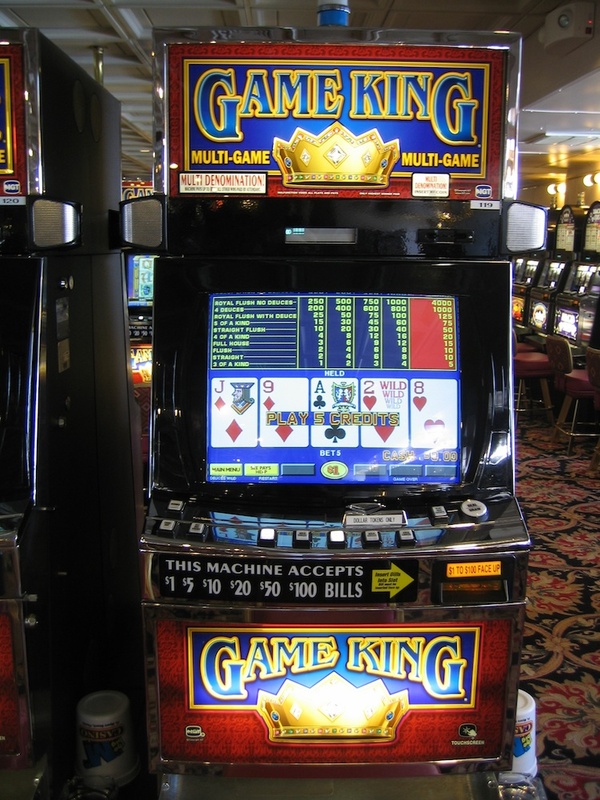 It has a Tumbling Reels feature, which gives you more chances to win. 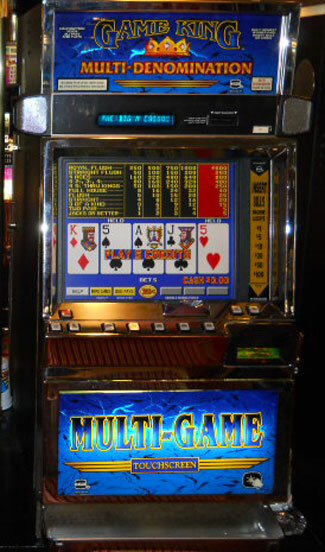 But what sets this slot machine apart from others?